This post is now available for Kindle! The route out of Black Star Canyon, back to the fire road – don’t miss it! 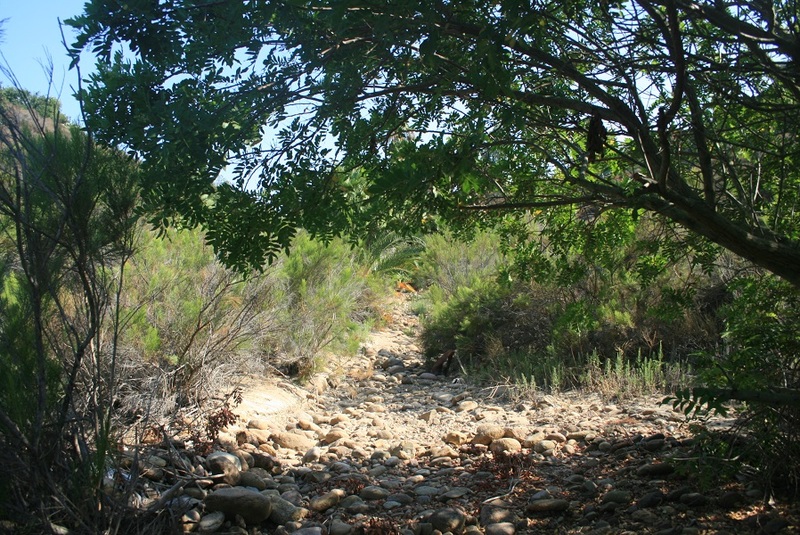 Location: Cleveland National Forest, east of Orange and north of El Toro. From the 55 freeway in Orange, take the Chapman Ave. exit. Head east on Chapman Ave for a total of 10.8 miles (on the way it becomes Santiago Canyon Road). Turn left on Silverado, just past Irvine Lake, and take a quick left on to Black Star Canyon Road. Drive 1.1 miles to the gate and park in the turnout. From south O.C., take I-5 to Oso Parkway. Turn right, go 0.7 miles and turn left on Marguerite Parkway. Go 5.6 miles and turn right on El Toro Road. Go a total of 8 miles (El Toro becomes Santiago Canyon Road) and turn right on Silverado. Take a quick left on Black Star Canyon Road and park at the end. While most hikes in the area require a United States Forest Service Adventure Pass ($5 per day or $30 for the year), there is no indication at the trail head that a pass is required for Black Star Canyon, but if you have one, you might want to have it on display in your car just in case. The land is often in a state of flux between private, county and federal ownership; sources seem to have different information. To purchase a pass, click here. More information: here; interesting article here; discussion forum here; video of the waterfall here. For information on identifying and treating poison oak, click here. To “like” Black Star Canyon Falls on Facebook, click here. In the film “Apollo 13”, one of the astronauts describes the mission training as “three hours of boredom followed by three minutes of sheer terror.” That’s not far off from the Black Star Canyon experience. 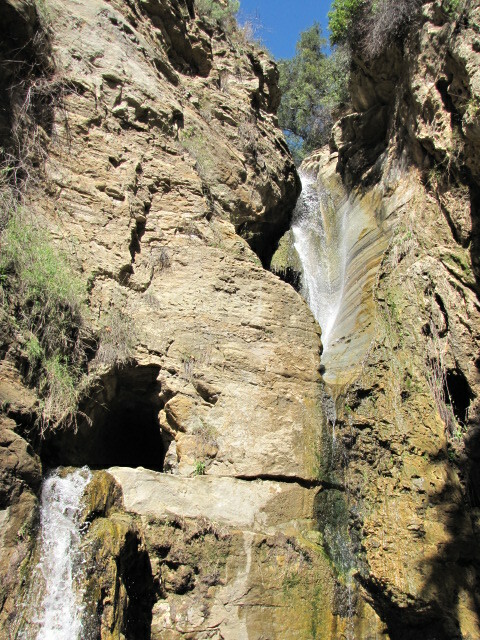 The waterfall in Black Star Canyon has something of a cult following among So Cal hikers. It’s unusual appearance is partly man made, in that the water cascades through a mine shaft as well as down the main chute. Black Star Canyon is also the subject of a lot of ghost stories, and hikers who make the trek will see the remains of a school bus, a tractor and a bicycle(!) along the way. There are many tales of paranormal activity after dark in the canyon, and confrontations with the local residents, and crimes by roving gangs and drifters who hang out by the road. The information sources that seemed the most credible agree that basic common sense will carry the day for you in Black Star Canyon: Don’t hike alone there after dark, and respect the residents and their property and they will respect you. 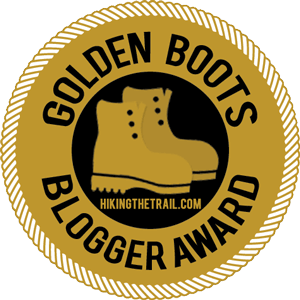 The hike itself should not be under-estimated. I was considering rating this trip as “R”, but if you know what to expect and prepare, it’s not that difficult. Here are eight simple rules for successfully hiking to the waterfall in Black Star Canyon. 1. When in doubt, it’s poison oak. 2. Try not to step on any rock that’s smaller than your car; it’s probably not stable. 3. Even stable rocks are slippery. 4. No, seriously, that’s poison oak. 5. What’s easy on the way up might not be easy on the way down, and vice versa. 6. Poison oak doesn’t grow at eye level, does it? That said, many people make the trip and live to tell the tale; you just have to plan. I didn’t my first time, and I didn’t make it the falls and got some pretty bad poison oak for my trouble. In case I didn’t mention it, there’s a lot of poison oak in Black Star Canyon. But the second time I knew what to expect, and pulled it off. From the parking area, pass the gate and head north on the paved road for half a mile. You swing to the right and head deeper into the canyon, passing by private properties on both sides of the road. Other than the barbed-wire and electric fences, and the occasional overhead power lines, there are few signs of civilization. The scenery is similar to that of Holy Jim Canyon, not far too the south; it’s hard to believe you’re in the O.C. The road crosses Black Star Creek three times and soon afterward, at 2.5 miles, you reach a hairpin turn. Look for a trail heading downhill to the right, into the canyon. This is the business end of the hike. Follow the trail down to the creek and head left, upstream. Remember what this location looks like so you can find it on the way back. Although it is now only 0.8 miles to the waterfall, this will probably take as long, if not longer, than the time you’ve hiked so far. The early going is slow, but not too challenging; there are a few boulders here and there and you’re likely to get your feet wet, but overall it’s doable. After half a mile of climbing and scrambling, stay left as another canyon comes in from the right (east). This brings you to the last–and most challenging–stretch of the hike. Soon after the junction, you arrive at your first major obstacle: a pile of huge boulders, with no easy way up. The best route is to start on the right side of the canyon and work your way diagonally to the left, climbing from one rock to another. The next challenge is the first of three smaller waterfalls that you’ll encounter en route to the main one. Just before you arrive at the waterfall, look for a path heading up above it on the right side of the canyon. It’s loose and steep, but you can grab onto tree roots and rocks to make your way up. This brings you to a rocky slope, with several smaller waterfalls running along it. The rocks can be slippery, but this stretch isn’t too tough. You can climb up the second waterfall the left side; soon after you arrive at the third, and by this point you can get your first glimpse of the main waterfall. A steep but negotiable route takes you up the right side of this third small waterfall, and then you reach your destination. The main cascade flows about fifty feet, and to the left, it also goes through the mine chute. Following recent rains, the waterfall is quite amazing. And as with Fish Canyon Falls in the Angeles National Forest, the bragging rights here are valuable too. It’s round trip. It’s a fun hike, but I’m not sure if the waterfall will still be flowing this late in the summer. 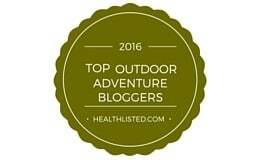 Thanks for reading and safe hiking. Do you think a girl that is 18 will be able to make the hike?? If you’re pretty athletic and are careful on the rocks and around the poison oak, shouldn’t be too much of a problem. I’m not sure how the waterfall will be flowing this late in the year, it might be better to wait until spring. it just rained last saturday and my friend and I were thinking about going to the black star fall tomorrow. Do you think the waterfall will be flowing? My guess is probably not very well, it’s got a pretty small drainage area and usually only is flowing strongly during the spring after heavy rains. You can always try it but you might have better luck with Holy Jim Falls. just did Blackstar Canyon falls this past weekend (2nd time this year), no water on the waterfall at all, but….. is a heck of a hike, well, more likely rock scrambling / rock climbing, recommended to everybody, is super fun, challenging sometimes trying to figure out what rocks to climb…. 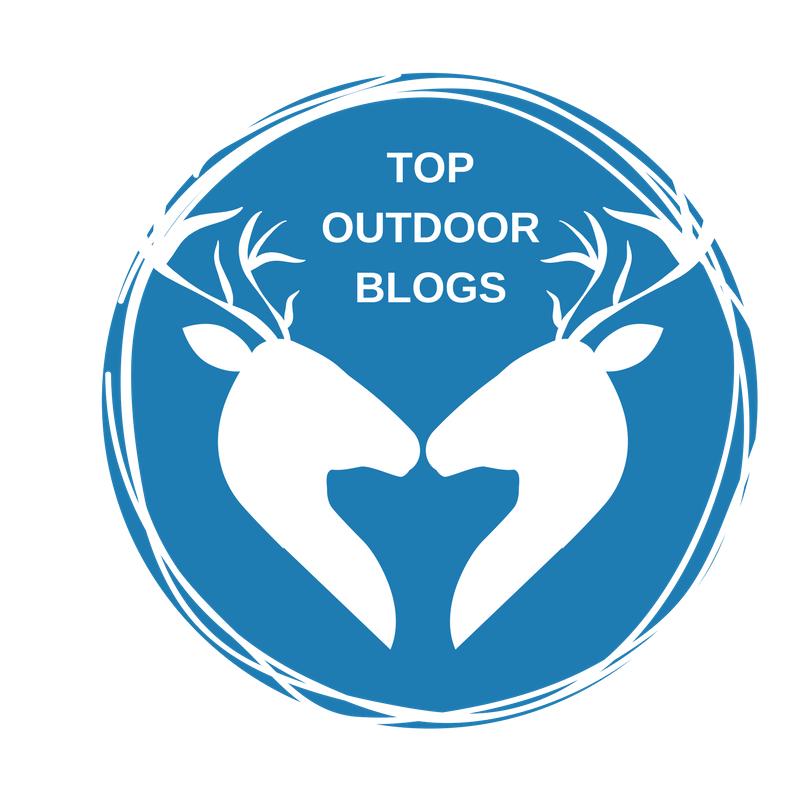 a must do for any outdoors lover. My friends and I want to go out to see the waterfall within the next couple weeks. Do you think it would be flowing at this time of the year? Unfortunately probably not…it only really gets going after sustained rains (more than we’ve had in the last few days). Given how difficult the hike is, I’d wait until a wetter time. I’d try Holy Jim or Ortega Falls instead. My guess is that it’s not very muddy because rain levels are lower this year, but I haven’t been out there recently so I can’t say for sure, sorry. Any other readers have any feedback? is this a good place to run the trails, rather than hike? Not being a runner I couldn’t really say, but I’d imagine the fire road portion of the hike would probably be good for running. I couldn’t imagine running up the canyon itself though. Thanks! I’ll give it a try. It looks so beautiful! hows it going y’all me and my buddies wanna check this place out. but we heard alot of stories…any bad experiences? and whats the best way to get there. did u guys have like a map or guide? The main problem is the poison oak in the canyon. If you go during the day, stick together and don’t bother anyone you shouldn’t have any people-type problems. The only thing is that this late in the year there probably won’t be much water. It’s usually best after it rains for a while. Finding it is pretty clear, just look for the hairpin turn in the road and the trail leading down to the right. Just a consolation prize for anyone that goes when there is no waterfall: you can climb into the mine shaft! It’s pretty awesome. Oh, and there’s a lot of stagnant water during the summer time, so watch out for bugs and bring bug spray as there going to be plentiful. I went earlier this month and had a few bites (and a tick!) on me when I got back. with locals but you know they are probably watching you like anybody else that owns private property. just respect their property and carry a trash bag! if you do run into residents tell them you are just enjoying the view and picking up trash on the way out..they probably will just keep going! BE SAFE i used a golf club as a walking stick just n case (you know mountain lions) F O U R! I have hiked up black star with friends tons and tons of times (mostly always at night) we tend to exsplore off the trail where no one has gone. we always are going in with protective gear (safety against any attackers because of the gangs who go up in the area or cougars fortunetly out of all the hunderds of people meet none where hostile) have found old mine shafts tons of old bones, scary to quiet areas and have gotton lost a few times which allways put’s your nerves into high gear. we have tried to hike up to the falls a few times at night but we always get stuck when we follow the little trail that goes by the creek after the hair pin turn. usually we been ariving at a cliff at the end of the trail. After all this rain this past week my friends and I have decided to hike up there this coming friday. we will be starting off at 1 pm and hopfully make it this time to the falls. thanks for the info, it will help a lot. Glad you found it helpful – hope you are able to reach the waterfall. The recent rains should certainly help. Watch out for the poison oak! Would like to see where the Indian massacre was back in the 1800’s…where along the trail would we find this historical spot? You know I’m actually not sure about that, sorry. Have a good hike. I made the bike/ hike yesterday (2/17/2013) up Black Star Canyon with the intentions of visiting the area known as the “Indian Village”. I did bring my mountain bike so I could cover more miles in less time. I started at 9:00am, the parking area had about 20+ cars and I saw a steady stream of bikers and hikers heading up the canyon. As I headed up the canyon, past the gate (trail head) I saw the fencing and barbed wire people spoke about…sure enough, it’s obvious I was to remain on the road. I made my way past the “squatters” site which looked like a dump…no really, like an actual “dump” for trash etc. No standing buildings, just trash everywhere. I went past the house with the miniature golf course…which by the way was so random I actually stopped and looked at the area…a miniature golf course back in Black Star?? Go figure. Now is when my trek got physical, the long winding road was up hill…and it taxed my biking ability. I have to admit, I walked my bike quite a ways (other “real bikers” were peddling their way at a snail’s pace but they were doing better than me) Keep in mind I was in NO HURRY, I was stopping to look at rocks, checking out the beautiful scenery etc….I was walking/biking for a little over an hour (un known distance) and I had made it to the top…meaning the uphill climb finally leveled out. Approximately20 minutes from here, look to the right, you will see 3 metal posts along with some white road signs with bullet holes in them. The 3 posts are about 2 feet tall in a tight triangle, this Is where you go off the road, to the right. It’s a beautiful “Glen” with trees and strange out cropping of rocks. I walked my bike to the rocks and saw the “holes” where the Indians grinded their acorns and supposedly had their camp (village) I did NOT see any petroglyphs of any other signs of a past civilization but the numerous holes in the rocks was very interesting. I stayed here for about an hour looking around, wondering what it was like 200 years ago living “off the land” No ghosts, spooks, strange noises but I did notice a sense of “peace”…the place had a warm quietness that was relaxing. I am not sure where the massacre happened but from what I could research, I think it was about 500 yards to the left in a beautiful open meadow. I checked this area out as well finding a small stream and some old cement foundations…maybe an old mine was in the area…who knows but the area was really neat. I headed back down the canyon, heading to my truck. I stopped at several areas that caught my attention (like a mine and cave) the ride down was great because it literally is ALL DOWN HILL. Except for the crazy mountain bikers going 100 mph down the trail (obviously much more experienced and braver than me) the hike was safe, beautiful and a must for history enthusiast. No crazy guys with guns, no gang bangers, just bikers and hikers…I was back at the truck by 12:00 noon… 3 hours of exercise, history and fun. Is the place infested with poison oaks? If so how do you navigate around them or what should I bring to prepare for the falls hike? I’ve hiked the 2.5 miles but didn’t dare to go for the falls as someone we met along the way told us about the poison oaks. I was in shorts so didn’t want to take a chance. Definitely long pants are best. Watch out for leaves growing in clusters of three on the banks of the creek. It’s best to put on some tecnu, or other poison oak treatment before going, and certainly after. Good luck! My hike was to the Indian Village which also leads you to another way to the falls from the village area. You would be going down to the falls instead of hiking up. About 20 minutes BEFORE the village, there is a trail that shoots off the main road (to the right as you walk up the road) It’s as straight as an arrow and is “cut” in 6-12 inches of grass…it’s easy to spot.This trail heads to a big rock, you can’t miss it. If you go this route you will end up at the top of the falls, looking down. Keep in mind as of 3-4 weeks ago, there was very little water flowing so I am not sure the “Falls” would be present. IT still would be a neat sight because the mine would be accessible. Ok, now for the Poison Oak…..I did NOT see any poison oak, HOWEVER…I did NOT get off the beaten path, I stayed on the trails and did NOT venture in the thick. There is an abundant amount of foliage and greenery so I am sure that nasty stuff is lurking about…just don’t touch anything. As a rule, I do NOT rub or brush up against any plants when I hike unless I am 100% positive what it is..but even then, I try and keep my distance. It’s a great hike and No! there are no crazy guys shooting at you. Just pay attention to the signs, respect the private property and you will have a good day. Went there last week. Great writeup! We could not find a school bus though. We really looked hard. There was a bunch of new construction up there. Something called Edwards Ranch. A lot of electrified fencing on both sides of the trail. From the signs, this area is going to be used for raising cattle. We’re pretty sure it’s a secret military facility. It’s been a few years since I did the hike, perhaps the school bus has been removed. I have been hiking up to the falls many times recently. The bus has been removed and is no longer there, the trail is really well worn to the falls now. many people make the mistake of not going down the hill to the right of the hair pin turn as it looks like people have made a false trail that continues in front.of the hair-pin-turn. 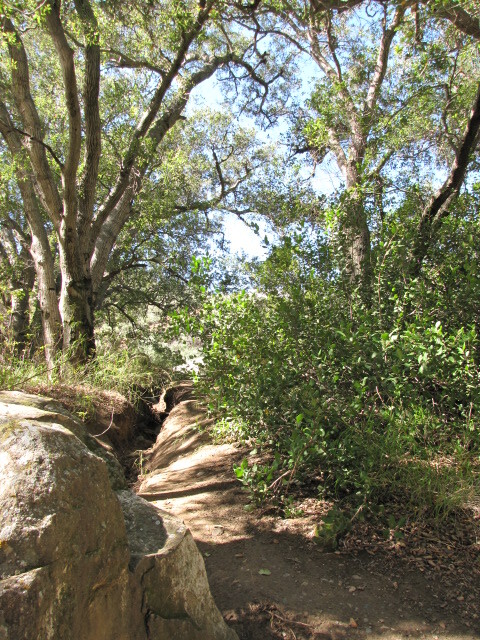 There is also a steep trail up to the right of the falls that leads to the top of the falls. currently because of the dry conditions we have had there is no falling water. Made the hike up to the “falls” Monday and I am always amazed at the interesting rock formations and the natural beauty the rushing water has created over the years. Keep in mind; there is NO WATER right now so the trek to the falls (a term used loosely because there are no “falls” at this time) is rather easy. The trail is easy to follow but the rock hopping is still present. If you make the hike, just stay to the LEFT when you get to the fork…about ½ mile. As a point of reference, there is a bike shoved in a tree…yes, you read correct, there is a black 10 speed bike twisted and mounted in a tree??? Take your time making this hike, although you do not need to be an experience “rock climber” use caution when navigating the climb…a slip or fall could easily break a bone and this is not a place you want to get rescued from. The Poison Oak was present, so as a rule, just don’t touch ANY vegetation. From the parking area, AKA” Skull Rock” it takes about an hour to walk to the trail head (turn off) from the main fire road and another hour or so to make it to the fall/mine area. Please carry your trash out as it’s apparent the trail is becoming a popular spot for weekend hikers with little regard for nature and our OC trails. It’s a fun hike, bring lots of water and a camera.